Remember the hope*writers community I told you about recently? The one that only opens its membership every once in a great while? Well, they’re about to open their doors next week, and now you’re among the first to know! While you wait, take this fun quiz they created to help you Find Your Writing Stage. Then go ahead and grab this free e-book called the Newbie’s Pocket Rulebook of Book Publishing — it’s a brief guide of the basic essential terms and steps of book publishing. Sound interesting? Get your free copy here. Join the wait list here so you don’t miss your limited opportunity to become part of the hope*writers community as soon as the doors open on Monday, May 21! 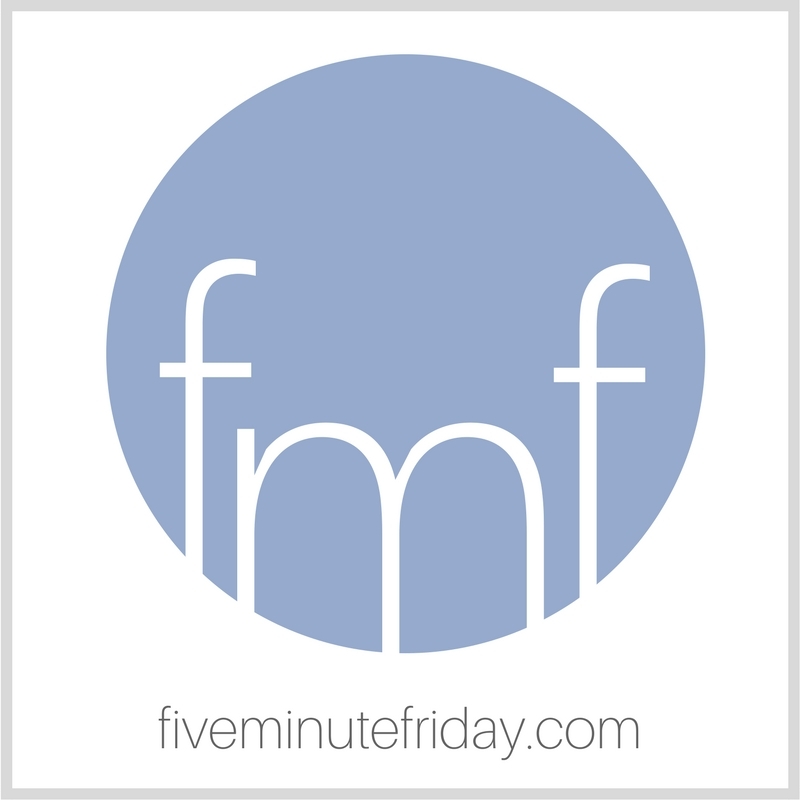 If you’re new to the Five Minute Friday community, learn more about our weekly link-up here. We gather every week around a one-word writing prompt, and free write for five minutes flat until we can’t feel our fingers anymore, then we share our beautiful, messy offerings. Sounds like fun, right? Right? What comes to mind when you think of the word, SECRET? Share with us in five minutes or less! WE’RE GOING TO SOUTH AFRICA! We leave in exactly three weeks (on June 8th), and Lord willing we’ll be there until August 13th. It’s our first time back in five and a half years, and if you’ve read my memoir, you’ll know that South Africa is home to my husband, a second home to me, and the birthplace of all three of our kids. We have so many things we want to cram into those nine weeks, but mostly we’re just going to sit on the stoep at my mother-in-law’s house and catch up on the past half a decade while flipping boerewors on the braai and drinking Appletiser and Schweppe’s Granadilla. Oh yeah, and I’ll be speaking four or five times around the country, so if you happen to be in South Africa, hit me up to see if we can connect in person while we’re there! For those who are wondering about the future of Five Minute Friday during these next few months, have no fear: I’m planning to continue the regular link-ups by scheduling them in advance. I just won’t be able to participate in the weekly Twitter parties in person while I’m gone — BUT . . . the lovely Anita Ojeda and Jeanne Takenaka have agreed to keep #fmfparty alive during June through August. Hooray! Be sure to follow Anita Ojeda (@blestbutstrest) and Jeanne Takenaka (@JeanneTakenaka) on Twitter if you want to be part of the weekly Twitter parties at #fmfparty! A bunch of us gather on Thursdays from about 8:45-9:45pm EST. Follow along while we’re in South Africa! I’m hoping and planning to post to my Instagram account as long as I have Wi-Fi access, but you can also find me on Facebook — I’m excited to share photos of our time there! Join the link-up with your own five minute free write by clicking the blue button below! I’m so excited for you and your opportunity to go home! I’ll be praying for your safe travels and that God uses you in ways both mighty and small :). Kate ever since I read your book then met you and your family I had hopes for you to be able to return to Africa for a visit. To say I am excited for you is an understatement. Living 24 hours from my family is tough, and I get to see them for a week almost every year. This is the best news I have had in a long time. I am thrilled for you. I will be praying that your travels are safe and uneventful. I will pray that the whole experience is filled with pleasant and wonderful memories. Owww!! I’m soooo excited for you! I will most definitely be keeping up with you on Insta. Soooooo happy for you! I know what it’s like to miss a country, although Canada is closer and not so different as South Africa. But I miss it all the same. I was born and raised there, and met my New England husband in Bible college. We married and have lived here for almost 29 years, raising our family and building our home. But I still feel a part of my heart is always in Canada, and the cultural differences are subtle, but real. Enjoy your wonderful trip and loved ones! Hoping you have a wonderful trip! I also have family connections with South Africa and it’s a beautiful country, very dear to my heart. Enjoy. How exciting for you! Praying for your safe travels, and that it will be a time of refreshing with family and a time of great effectiveness in your speaking ministry. I’m so excited for you! Can’t wait to see all the pictures and read about your adventures! Praying for lots of rest and reconnection. So excited for you, Kate. Praying your trip is everything you are dreaming of for you – and for your family….and even more!! Can’t wait to hear about it – hope you will share! That’s awesome! Have an amazing time! How wonderful for you and your family! And what memories you will create! God’s blessings on your preparations, travel, visit, and return! I look forward to seeing pictures!!! Take care, Kate. We will miss you! So excited for you guys, cause I know how much you miss it and how great it will be to able to see friends and family and for your relatives to see the kids now that they have grown so big. I look forward to hearing about some of the places/experiences/foods you spoke of in your book.